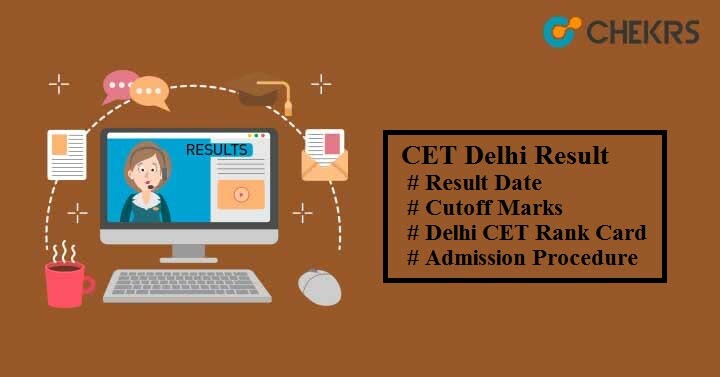 CET Delhi Result 2019 : Delhi Polytechnic or we can also say CET Delhi result will be made available to all candidates who will appear in the exam successfully. It will be released through Online mode only. Candidates, who are in search of CET Delhi results, may see the DELHI (CET) Polytechnic Result Date mentioned below. Here we have provided some easy steps to download the CET Delhi Score Card. Enter your CET Roll Number, Application Number and Security PIN. CET Delhi 2019 Result will appear on your device screen. To get selection in Delhi Polytechnic entrance exam, applicants need to fulfil the CET Delhi Cutoff criteria decided by the Department of Training and Technical Education (DTTE), Delhi. It will be set on the basis of various factors like seat availability, total no. of applicant appeared in the exam, the difficulty level of test, the average score obtained by candidates, previous year cut-off etc. Candidates can check the minimum required percentage to qualify the test in the table given below. Selected candidates will be listed in the Merit List based on their score or rank in the exam. After that they will be called for admission procedure as per their rank. So if you want your selection, must score more than or equal to the cut-off percentage listed here. DTTE Delhi will schedule Delhi (CET) Polytechnic Counselling through online. It includes subsequent steps like paying counselling fees, online registration, choice filling, the release of seat allocation list, document verification, freezing of allotted seat etc. Candidate fail to register for counselling will not be considered for the Seat Allotment process and their seat will be offered to other eligible & qualified candidates. The authority will held counselling in 2 or 3 phases and after the final round, a SPOT round will be held if the seats remain vacant. In case of any further queries about Delhi Polytechnic Entrance Exam Result then put your message in the message box below.